Let’s go on a trip with the SUNQ pass in Kyushu!! ↑This menu can be scrolled horizontally. 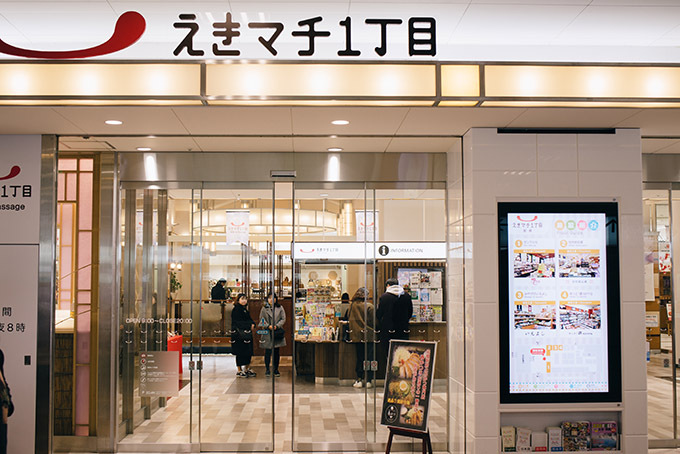 When you show the SUNQ pass at the JR Beppu station information office, you will get a 200yen discount off your purchase of “BE@BEPPU”!! This is a special service for the SUNQ pass customers. 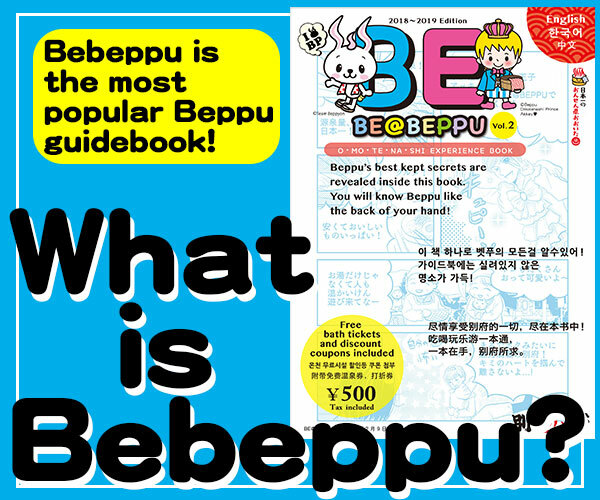 BE@BEPPU is a multilingual onsen guide book that introduces Japan’s No.1 onsen city, Beppu!! 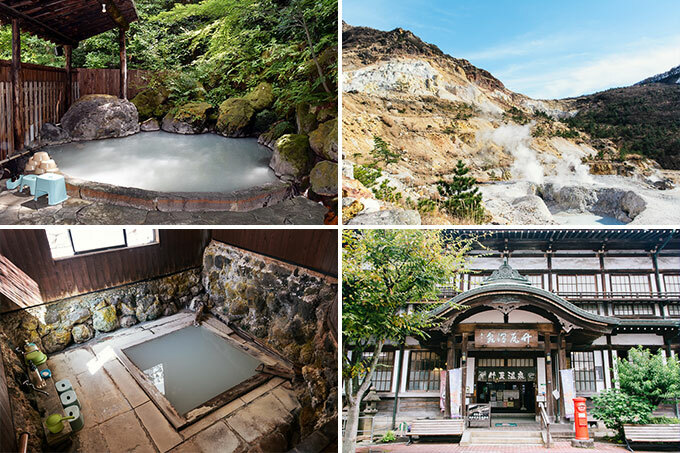 In Japan the city of Beppu is the number one location for onsens and onsen facilities. When you go to an onsen in Beppu, you can relax in a private onsen or enjoy bathing with locals. Sometimes you will nice view onsen, however it may be, you will find your own way to enjoy onsens. Have you ever been to the hell before? 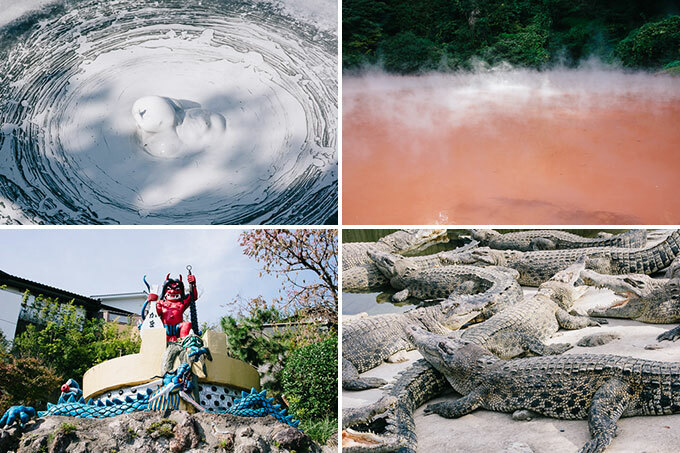 In Beppu you can visit the 7 hells which contains beautiful sights of multi-colored ponds such as red or blue live crocodiles and active geysers erupting every so often. In Beppu not only can you enjoy the hells but you can also enjoy beautiful gardens that are similar to a heaven of lotus flowers. Tasty and affordable! This place should be more well known! 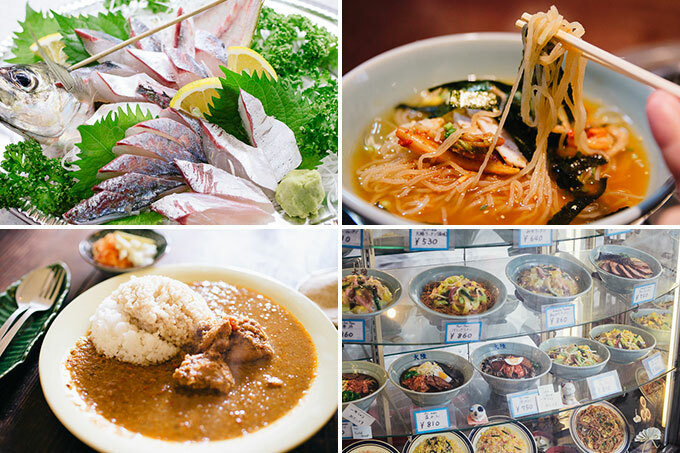 Beppu is surrounded by the sea and mountains so there are plenty of delicious things from nature all around. There are many small shops that have a cozy atmosphere where you can spend time at. Some shops are managed by multiethnic people so the food is delicious and authentic. Let’s enjoy nature with our 6 senses. In Beppu not only are there onsens, but lots and lots of nature as well like mountains, lakes and water falls. Let’s feel the beauty and the magnificent power of nature while in Beppu. The fun and exciting amusement park for all! 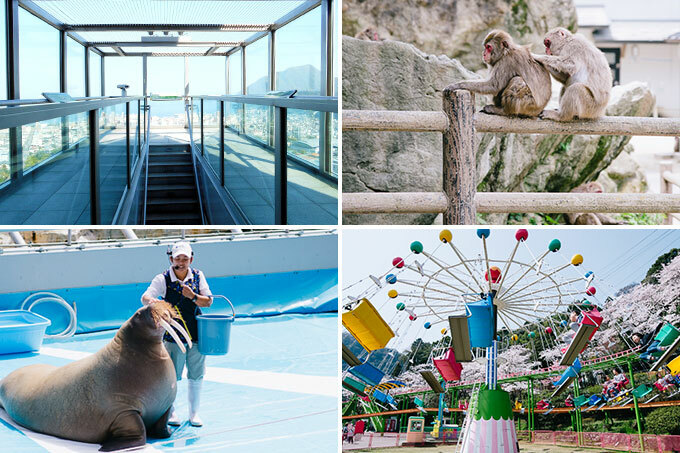 In Beppu there are some exciting amusement parks, an aquarium and a zoo. These place are not only for children but they offers exciting experiences for adults as well. 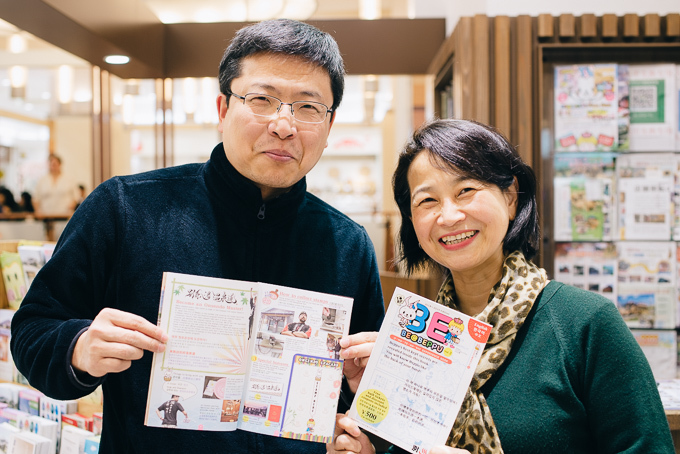 If you plan to visit the hells, Be sure to buy the guide book BE@BEPPU! BE@BEPPU provides you with many bonuses and presents at the top sightseeing facilities in Beppu. 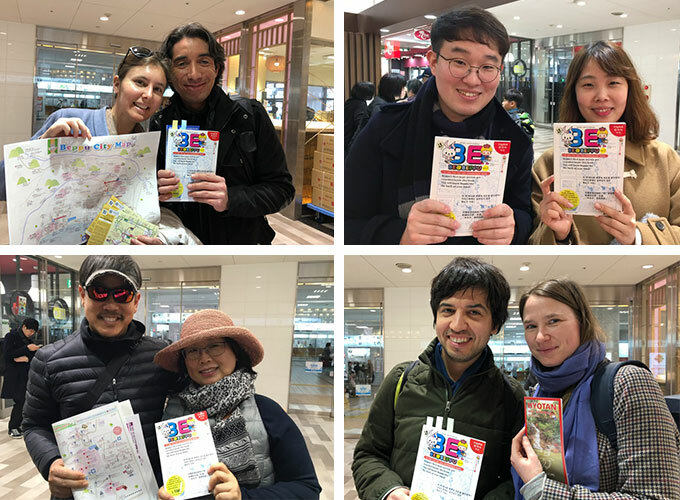 With BE@BEPPU you can use many discounts to some of the top tourist spots in Beppu and some bonuses like receiving free eggs and blue onsen powder. The total amount of the coupons is worth more than 10,000yen!!! 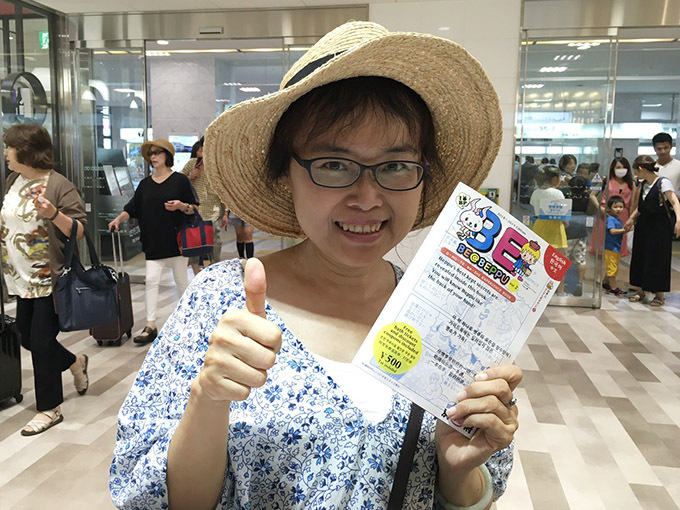 BE@BEPPU offers you several “FREE BATH TICKETS” and discount tickets for various facilities. 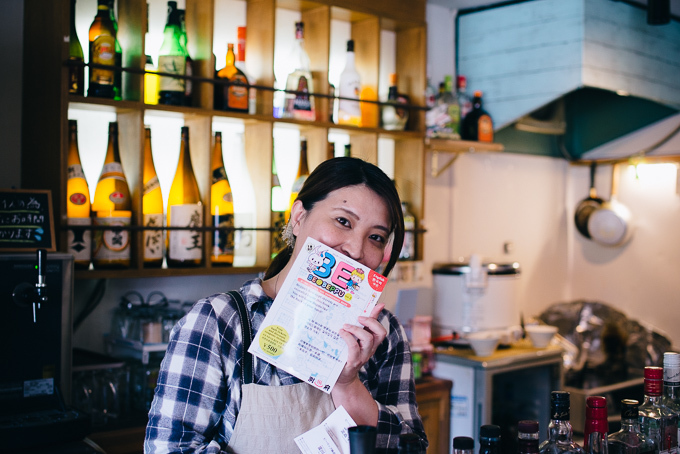 In addition to the onsen coupons you can also get a free drink or a special discount for the meal a meal at the restaurants listed in the books. The information is all provided by the locals of BEPPU!!! Let’s visit small shops and make small talk with the owners! The maps are very detailed with lots of directions and information that you can feel comfortable exploring around town while not worrying about getting lost. 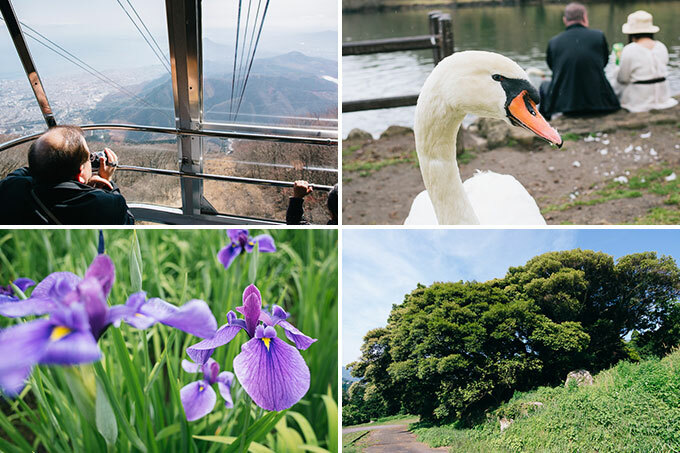 When you go on a trip in Beppu with BE@BEPPU, you will enjoy Beppu more! Please check the website of BE@BEPPU!! 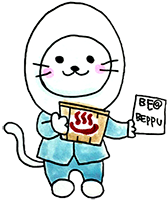 There is more detailed information on the website of BE@BEPPU! He is always sleeping on a manhole, however once he receives BE@BEPPU, he becomes filled with joy and jumps to his feet. She is a demon with a strawberry on her head. It looks like covered in blood however it’s only a strawberry juice!! !